With over 30 years of experience, we have become London’s leading experts in Bridesmaid Dress Alterations and Restyling and more. 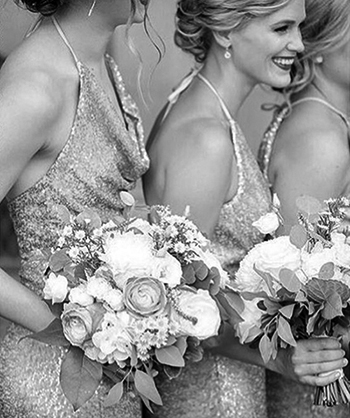 Is one of your best friends getting married and you have been asked to be a bridesmaid or are you a bride and your bridesmaid needs to have her dress altered? At Alterations Boutique we can perform any type of alteration, restyling or re-sizing to a bridesmaid dress. Whether it needs to be completely restyled or simply tweaked to look more flattering, we can help. Our seamstresses have at least 20 years of experience so we can assure you that your dress will be in the best possible hands. You can trust us with any type of alterations from simple hems to major modifications, any type of fabric, detail or embellishment. We have the experience of working on beautiful laces, luxury fabrics, and materials that overall are not easy to alter. We will make sure the dress fits you precisely and we won’t be happy with the result until you are. Why Choose Us for your Bridesmaid Dress Alterations? At Alterations Boutique we are committed to excellence. Our highly experienced, fully qualified seamstresses will work on your Bridesmaid Dress for as long as it is required to create the perfect fit, and we won’t be completely happy with the results until you are. We have established an excellent reputation for delivering impeccable quality Bridesmaid Dress alterations when it comes to restyling, resizing, remodelling, altering or repairing Bridesmaid Dresses. What sets us apart is our ability to work to a factory finish which means that any alterations we perform to your Bridesmaid Dress will be unnoticeable and untraceable; the original stitch pattern, thread colour and any detail will be matched perfectly. This makes us the number one choice for Bridesmaid alterations in London. We are highly regarded because of the quality of work we perform, award-winning customer service we provide and reasonable prices we charge. Alterations Boutique Limited is a VAT registered Company with a comprehensive insurance policy that covers your Bridesmaid Dress whilst it is in our possession. Unfortunately, there are individuals that have set up rogue businesses that do not pay tax, take cash only and do not have the correct insurance in place which means you and your garment have no protection. We are proud to be a British company that complies with all rules and regulations to provide peace of mind to our clients. All of our team are qualified seamstresses by trade, with at least 20 years of experience. Despite being already qualified, the team have to undergo a rigorous Alterations Boutique training programme to demonstrate they perform work to our high standards. In addition, there is ongoing regular training to help the team master their skills. We believe in charging our customers fair and reasonable prices, therefore, we undertake regular research to ensure our rates are moderate. We appreciate that you would like to know in advance how much the costs are going to be but as Bridesmaid Dresses can vary with regards to fabric, finishing, construction and detail we prefer that customers visit us so we can provide a free, accurate and no obligation quote. At your appointment, we will provide you with a breakdown of costs so you have a clear understanding of what you are being charged for and do our best to make sure we quote within your budget. Our Fair and Reasonable Price policy means that our customers receive the best possible service and outstanding quality workmanship, without having to pay premium prices.